Aunt Ruby's offers bags of raw shelled peanuts in 3 pound or 5 pound bags. Peanuts are an amazing ingredient in many dishes and nothing is better than North Carolina raw peanuts. 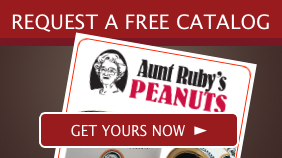 When you need peanuts that are not flavored or salted turn to North Carolina's finest peanut source - Aunt Ruby's. Each bag of peanuts comes with a recipe book that explains how to store raw peanuts and how to prepare them. 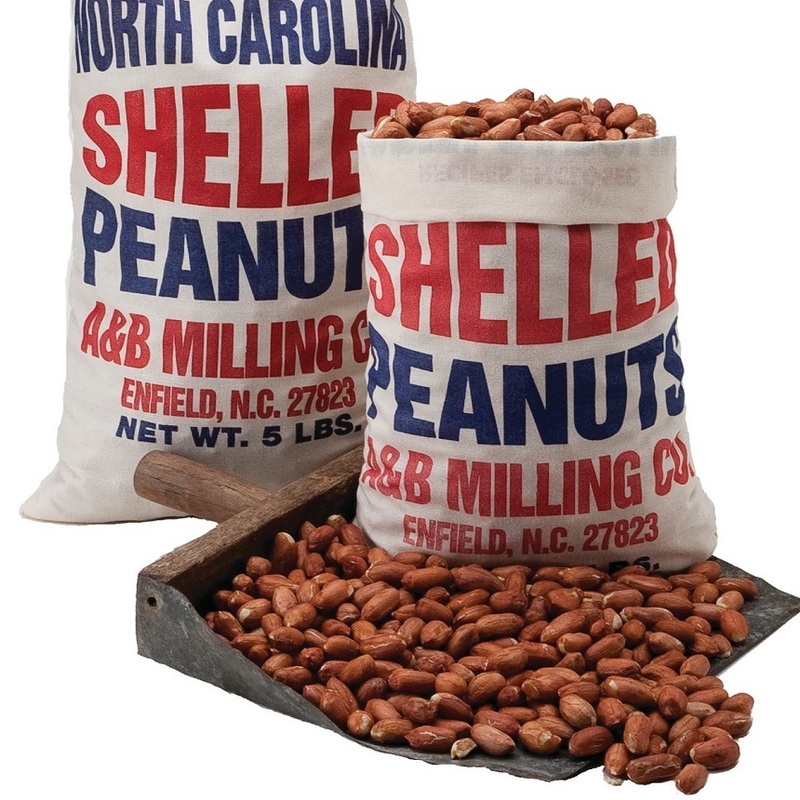 People who buy Aunt Ruby's raw shelled peanuts can add them to Southern dishes such as candied peanuts, skillet roasted peanuts and boiled peanuts. If you want more control over the quality of the peanuts in your cooking then turn to Aunt Ruby's. We offer the finest raw shelled peanuts and we sell them at affordable prices. Go ahead and surprise the family with homemade peanut brittle, holiday baking, or with a pan full of homemade roasted peanuts. We sell our raw peanuts in three-pound or five-pound bags so that you can enjoy peanut products as often as possible. My wife makes lots of peanut brittle every year for Christmas. We have a business and she gives it to our customers, suppliers, subcontractors etc. Plus lots of family. She usually cleans out the local grocery stores of fresh raw peanuts many times over. This year there were not any showing up at the local stores and she asked me to look online since it was time to start making candy. I found Aunt Ruby's peanuts and ordered two 25lb bags. Everybody has liked her peanut brittle in past years but this year they are raving about it being the best ever. The only difference it the peanuts. Will definitely be ordering them next year also! These are the best, freshest, most delicious peanuts I've ever had. They are large and meaty and full of divine peanut flavor. I roast them in the oven, only add some salt and water and the result is out of this world. The smell coming out of the oven while they are roasting is almost impossible to resist. Hats off to Aunt Ruby's for such a great product. I've had many types of peanuts and other types of nuts from all parts of the world, but these take the prize by a wide margin.Thank you! Just bought some of the raw shelled peanuts and I must say it keeps getting better with each order from Aunt Ruby's! I roasted some of these in the oven and they didn't last long!!! There's nothing like Aunt Ruby's peanuts and a cold beer while relaxing on my deck on a warm summer evening. Thanks Aunt Ruby's!!! I wanted to let you'll know that these shelled Aunt ruby's peanuts are EXCELLENT in peanut brittle and many other peanut dishes! Did you also know that you can plant these peanuts in your garden, and they will grow and you will make peanuts! These grow best in sort of sandy ground, and make sure you keep them watered well. Also, for BEST results, always plant the peanuts when it is the proper moon phase for below ground or root crops! You can obtain this info from any almanac, available at most any drug store, feed, seed store, book stores, etc! I have been doing this for over 15 years, and I have harvested some great tasting peanuts! We only plant 3 rows about 60 feet long each, so we are NOT going to put Aunt ruby's out of business!